Early in 2010 a group of German students from the UdK in Berlin came to us with a wish to initiate a workshop related to our line of work. With our upcoming project in Bangkok, it was an obvious choice to include the students in this process. The students had little or no experience with building, and it was necessary to prepare the group for the challenges that waited in Thailand. 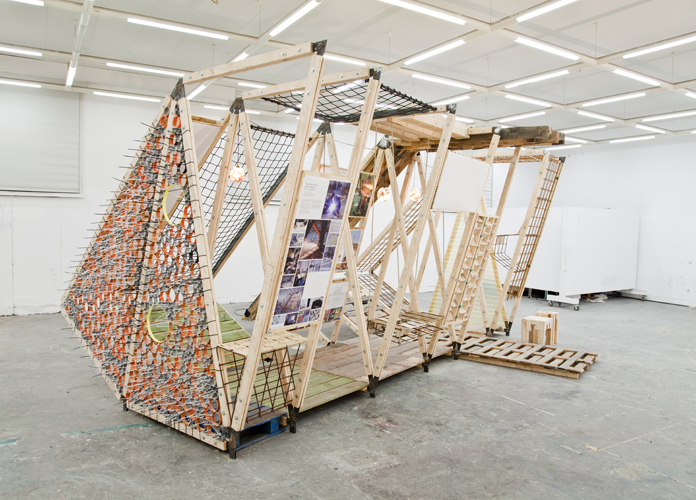 The task was to design and build a structure based on materials available in the bay areas of Bangkok. The result was a small exhibition pavilion that would be used to present of the future project we planned to do in Bangkok. This way the students were challenged to follow up on the project after it’s conclusion.